Publications - Hope Community Resources, Inc.
Social Media Postings, Media Releases, Videos and Articles of relevant content to Hope. Follow us on Social Media to stay up-to-date with all things Hope! 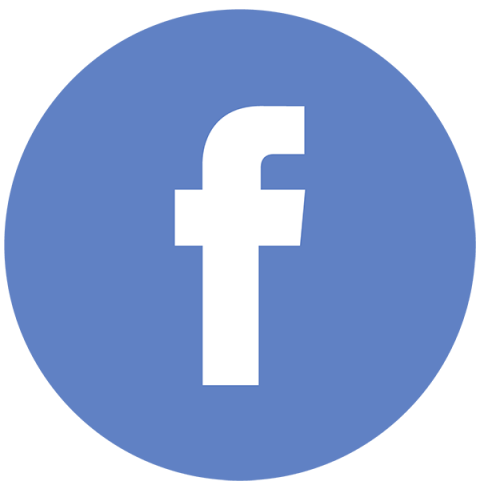 Our Facebook postings are comprised of articles, images, viral videos and more relevant content to Hope Community Resources and the greater disability community. Follow us on Instagram to see our latest content through photos of events we're involved in throughout our beautiful Alaska! Our Peer Advocate, Travis Noah, now has a Vlog! Here he will be discussing his experiences navigating the disability system as a consumer and sharing the advice he has for others. Be sure to subscribe and ask him any questions that you may have, whether for yourself or another! October 28, 2018—Hope Community Resources will be celebrating their 50thanniversary on October 28thof 2018. Established in 1968, Hope has been providing services and support to people who experience intellectual and developmental disabilities, mental health challenges, and complex medical conditions in Alaska. From its inception the organization has been generously supported by community members and business who have shared the mission and vision, resulting in 50 years of supporting Alaskans experiencing disabilities to be active participants in communities across Alaska. Nancy Stuart Johnson founded Hope Cottage, in 1968, only one year after moving to Fairbanks, Alaska from Florida. The Tanana and Chena Rivers flooded just weeks upon her arrival. This did not stop Nancy’s compassionate spirit, so she went around town helping take care of children whose parents were busy fighting the flood. This is when she recognized that some children required extra care compared to others. Nancy went on to foster a child with developmental disabilities, which was the birthing moment of Hope Cottage. A year after the floods occurred she moved to Anchorage where she began caring for fourteen foster children, all of who experienced some kind of disability. On October 28, 1968, Nancy formally incorporated her new organization under the name of Hope Cottage. It has since then transformed exceptionally and has become what it is known as today, Hope Community Resources. Hope Community Resources will be kicking off their 50thanniversary on October 6 at their Fall Flannel Formal. The community is invited to help us celebrate this momentous occasion by attending the Fall Flannel Formal. Tickets can be purchased at www.hopealaska.org. Hope Community Resources offers a wide range of services in Anchorage, the Mat-Su Valley, Dillingham, Kodiak, Seward, Barrow, and the Kenai Peninsula. They continue to expand as Alaska works towards eliminating the wait list for services. Visithttps://www.hopealaska.org/for more information. Alaska, May 9, 2018—As this is National Nurses Week, please assist me (Executive Director, Roy Scheller) in recognizing the amazing Hope nurses who not only support a wide variety of those receiving supports but also are part of how I have managed to keep my own presence here in the agency. Each of our nurses have regular assigned roles and responsibilities as well as the willingness to visit people in the hospital, attend funerals, provide hospice supports, assist someone with their diagnosis or medications, and intervene when someone’s health requires it. Additionally, I have observed our nurses supporting our coworkers with medical advice, verbal supports, understanding family member’s medical challenges, and even doing blood pressure checks on CEO’s! At times they have packed a bag and flown to the more remote areas of Alaska in order to administer health supports to those in need. As we support many people 24 hours a day, 7 days a week, accidents and illnesses do occur. It is at these times when they have shared their gift of professionalism, order, and calmness. It would be impossible for me to recall all the times in the past 40 years when I was able to sleep at night as a result of a nurse’s report or advice; the quality and extensiveness of their medical records; or their ability to inform regulatory bodies of the medical necessity of Hope’s actions. In all of these moments, I do not ever remember seeing a nurse who was not cool and calm; thereby keeping the rest of us cool and calm. When you see one of our nurses please thank them for their service and support to all of us at Hope. There has always been a team of nurses at Hope and always will be. They are one of our corner stones in the provision of care and supports to the vulnerable children and adults of Alaska. I wish all of our nurses a very happy National Nurses Week! Kenai Peninsula, Alaska—The Kenai Intentional Neighborhood, which broke ground in August of 2016, is close to becoming a reality for the families who have held onto this dream for many years. We are truly grateful to the Reitman Family Trust and The Alaska Mental Health Trust Authority for their generous funding towards phase one of this project, the site preparation, which was completed in August of this year. Thanks to financing from Alaska Housing and Finance Corporation, phase two, the construction of the homes, has begun and will continue into the New Year. Eleven of the 12 individuals who will be living in this community have been identified and are readying themselves for the move to their new homes this coming spring. They are extremely excited about their new homes and neighborhood. An intentional neighborhood creates opportunity for a greater sense of continuity and security for parents. Joining together with other parents or individuals with like interests and the understanding of the challenges associated with living with a disability creates a neighborhood culture of care and support. Phase three, the construction of a community gathering place and outbuilding, landscaping and road paving will begin in the spring of 2018. We are very excited to announce that the Rasmuson Foundation has just awarded Hope $330,000 towards this phase of the project! We continue to be extremely grateful for their ongoing support of our capital projects. Our Annual Gratitude Reports outline how your financial support continues to aid Hope in providing services and resources for Alaskans with differing abilities. Whether you have given your money, furniture, toys or time, we wholeheartedly thank you for your continued support and impact. You are changing real lives!